Anyone ever been to M10? M10 is a new township under the Jurisdiction of the Padawan Municipal Council. Today I am going to share the irresponsible public acts for littering at the only recreation place at M10. Today on my way back from UNACO to my car parked not far from Super Save shop, I notice the irresponsible acts by the publics towards M10 only recreation place, its mini fountain. 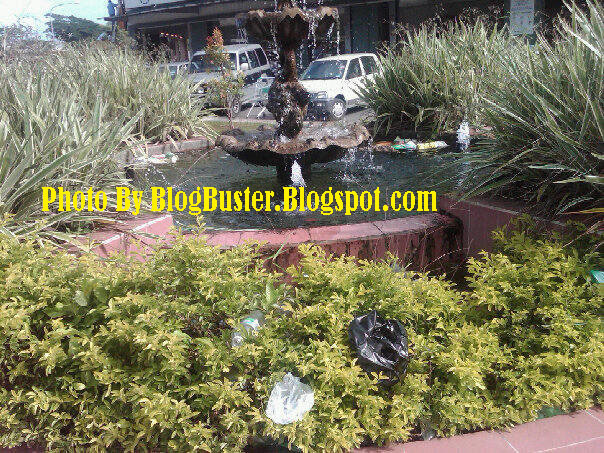 Please see the photos below and hope that MPP will take immediate action by clearing all the rubbish thrown into the fountain. 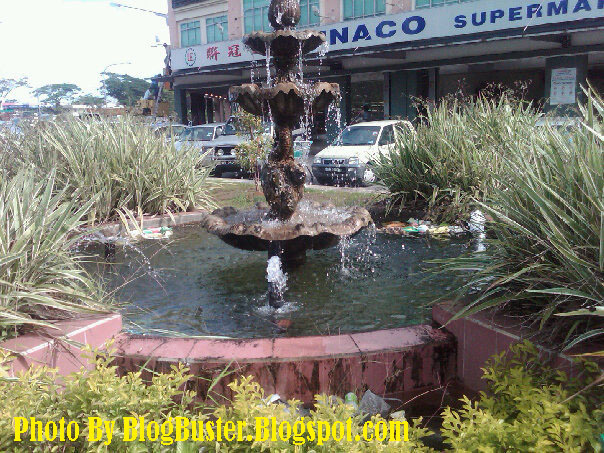 The mini fountain infront of UNACO hypermarket is supposed to be a public place. But see what had the hypermarket done? 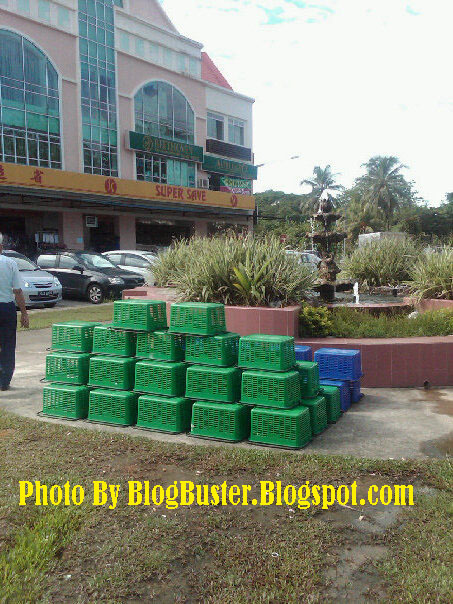 Yes the supermarket used the public place to dry their shopping baskets! 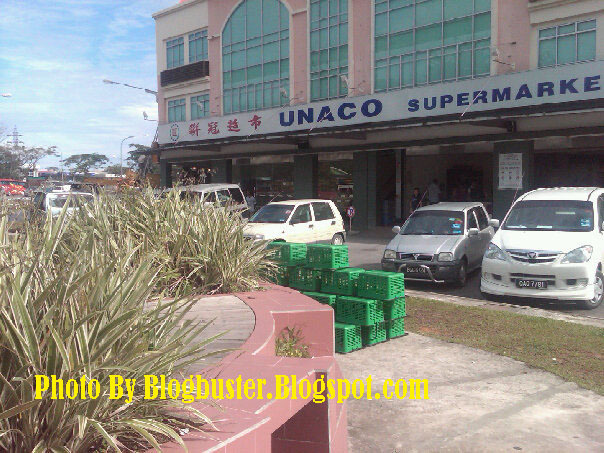 Hi UNACO..this is public place. Please clear it from your belonging.